Broadband is Coming—Is Your Library Ready? Internet access is no longer optional for today’s libraries. Without it, many library services grind to a halt and our patrons are left without access to the resources they need for education, employment, entrepreneurship, individual empowerment, and community engagement—The E’s of Libraries. In December 2014, the Federal Communications Commission (FCC) recognized this 21st century reality as it completed a major reform of the E-Rate program—the most important national telecommunications program that helps libraries and schools connect to the internet. 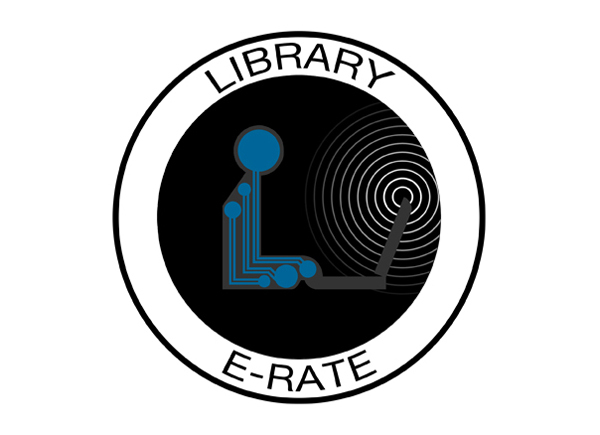 E-Rate provides libraries and schools discounts on telecommunications and information services—internet access and related services and, for a little while longer, phone service. The program is part of the FCC’s universal service program and is administered by the Universal Service Administrative Company. In 2014 the FCC increased available funding to $3.9 billion. Libraries represent about 15% of program participation and receive about 7% of the available funds. The FCC hopes the recent program reforms will increase both the number of libraries that apply for E-Rate funding and the amount libraries request. The money is there, but libraries have to apply to receive the funding. There’s a new resource to help you get started. ERTF guides ALA’s policy course at the FCC on E-Rate matters and also identifies opportunities to support E-Rate program applicants as they traverse the sometimes challenging application process. With the guaranteed money from the FCC on the table, the ERTF asked, “How do we ensure that all libraries have the information they need to take advantage of E-Rate for network infrastructure upgrades?” One of the answers we came up with was a clearinghouse—an aggregator of and home for resources to assist libraries in understanding broadband planning and E-Rate funding. At ALA’s 2015 Midwinter Meeting, the ERTF began planning a repository for library-specific E-Rate support resources to stimulate a national community of practice positively impacting public libraries, tribal libraries, consortia, or other entities seeking information on libraries and E‐Rate. The ERTF went ahead with construction of the Library E-Rate Clearinghouse, claiming a domain name and logo, and constructing a wireframe. There is also an editorial governance board made up of ERTF members. 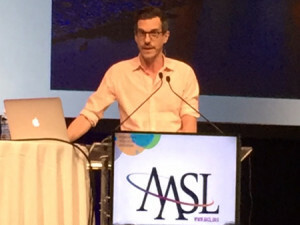 In the fall of this year, Chief Officers of State Library Agencies (COSLA) and Georgia Public Library Service (GPLS) received support from the Institute of Museum and Library Services (IMLS) that in part will help launch the Clearinghouse. “We intend that the Library E-Rate Clearinghouse will be a crowd-sourced site—by the people for the people—that will grow into a trusted and useful resource for libraries as they seek to increase broadband capacity to the library building and to their patrons using library Wi-Fi,” said Emily Almond, Clearinghouse project manager and IT director at GPLS. 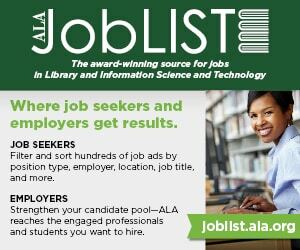 “The goal of the Clearinghouse site is to further strengthen the established national community of practice around these efforts and also provide an entry point to the discussion for those just starting to explore the opportunities,” said Julie Walker, Georgia state librarian. GPLS will host the Clearinghouse and support a content manager. For the first time in more than a decade, the E-Rate program will have the financial certainty to enable libraries to pursue large-scale broadband improvements. The FCC believes this increase likely means all E-Rate applications can be funded through at least 2019. But funding won’t flow to your library unless you apply. The Clearinghouse is one tool available to you to support you as you apply for E-Rate funding. It will be a curated resource of tools, information, and materials relating to E‐Rate and libraries, leading to stronger service provision to libraries, increased effectiveness in broadband planning and implementation, and, ultimately, improved access for the public libraries served. The Clearinghouse is also a resource-sharing platform and as such it depends on the library community to build its viability. The governance board welcomes contributions from E-Rate coordinators, public librarians, state library agencies, technologists, and others. If you have something additional to share, the governance board would be most happy to make sure it has a home. It will take submissions and publish them on the site with special consideration for accuracy of the content and findability. 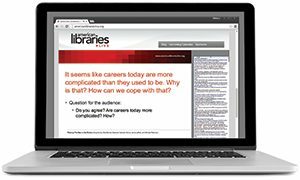 So, whether you are familiar with E-Rate basics and interested in using E-Rate to improve your library network or you are just getting started with E-Rate, this site is designed with you in mind. Take a look, and send us your content, comments, and questions or email ealmond@georgialibraries.org. MARIJKE VISSER is the associate director of ALA’s Office of Information Technology Policy in Washington, D.C. 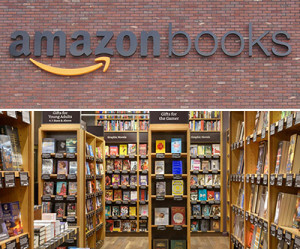 When Is a Bookstore Not a Bookstore?